Here at A Bookish Redhead there is alot that you can take part in whether you're a blogger, author or even reader! 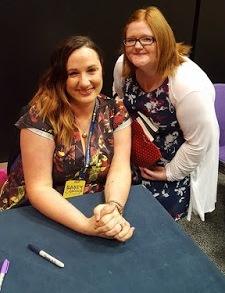 There are many different features which range from Author Guest Posts, Blogger Guest Posts, Book Reviews, insights into my bookish life, book signings and even giveaways! (There's more but I typed that all in one breath!) I'm always open and willing to try new things as well so if there is anything new to A Bookish Redhead you want to bring then I'm all ears! If you're contacting me regarding a book review please read my Review Policy before continuing to make sure we're a good fit for each other! My Disclaimer is at the bottom of my blog for more information on reviews.